Travelling and loving makeup sometimes does not combine. We never know what to take because you never know if you will need that extra lipstick or eye shadow palette. Getting to travel almost every three months to visit my family slowly has taught me how to pick my makeup wisely and with that I have actually found out that there are products that I always stick up to and will never disappoint me. 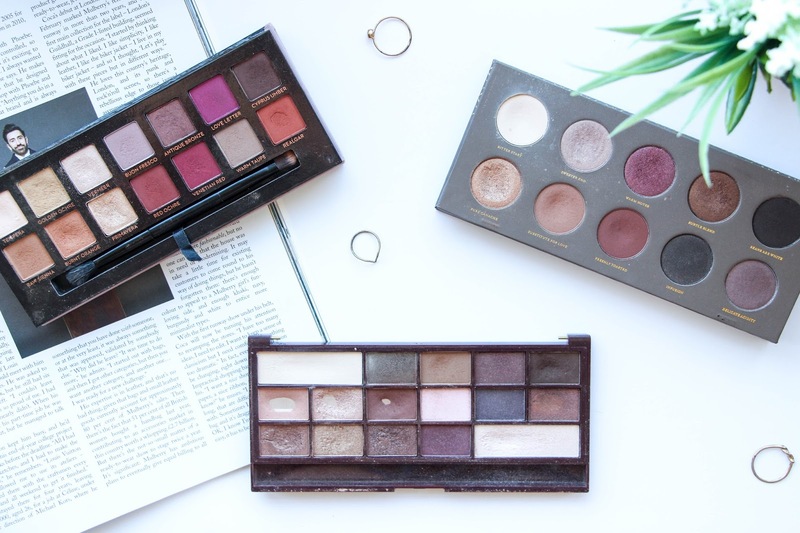 These are my top three eye shadow palettes that will let me create any look, from day time to a night smokey eye – you choose. If I take these three with me, I know I will have a lot to choose from and won’t feel limited. 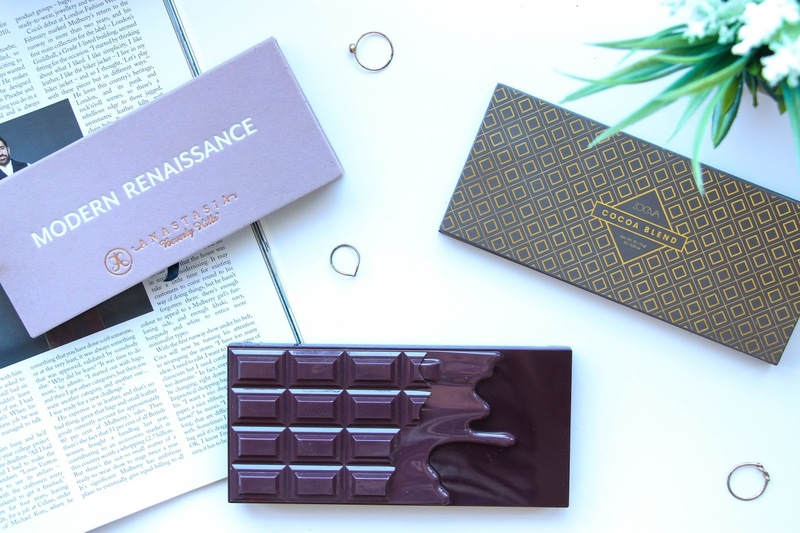 Anastasia Beverly Hills Modern Renaissance Palette, £41 . The one palette that many love to have. The berry tones might look a bit intimidating but the truth is once you hold this palette in your hands, you won’t be able to let it go. It is so versatile, very pigmented, so easy to blend and you will always end up with a beautiful eye makeup. I love this palette and I can’t stress enough how much you need this is you makeup drawer. Zoeva Cocoa Blend Palette, £18 . More affordable than ABH but still stunning, this palette is perfect if you also love shimmer eye shadows and a gold look. It is also very pigmented and I absolutely love the packaging. It is does not have as much variety as the other two palettes but it is still one that I love and tend to grab every time I want t bronzed eye look. Makeup Revolution I Heart Chocolate, £7.99 . If you are on a budget, Makeup Revolution is a great brand with a big variety of products with really good quality. This palette was one of my favourites until I got the Modern Renaissance Palette. It has many eye shadows to play around with and again you can either do a very simple day time look or a dramatic smokey eye. These are my three go to palettes if I am travelling and are without any question my three favourite from all the ones I own. If I was to pick one from these three, it would be the Anastasia Beverly Hills Modern Renaissance Palette. I can do anything with it – a matte brown smokey eye, a bronzed look and even anything with berry tones that look stunning on brown eyes. Which one is your go to palette?